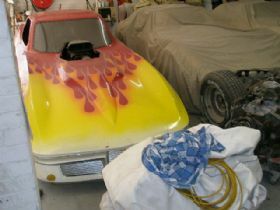 Corvette Restorations has been trading since 1988 and is owned and operated by Greg Morris in the Sydney suburb of Bankstown. The business caters for all Corvettes manufactured between 1953 and 1989 and offers a full range of services specially focused on customers who want to restore or convert their Corvettes. 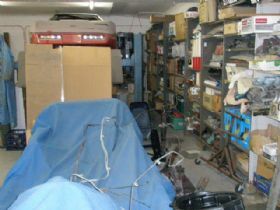 The workshop is expansive and can house in excess of twelve cars comfortably at any one time. 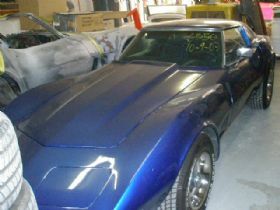 We have all the equipment you would expect in a large restoration shop including various welders, a lathe and specialist tools to assist in the varying requirements of restoring Corvettes. Over the years many models have been converted to right hand drive and we offer this service for owners of C1 through to the 89 model in the C4 range. We continue to work closely with an approved RTA engineer to ensure that once a conversion is completed the owner can obtain a blue slip for registration purposes. 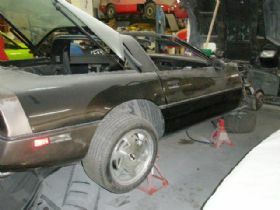 As the name implies restorations are a large part of what we do. The one area we do not get involved in is paint and it is the customers decision as to where they will take their Corvette for its paint job. 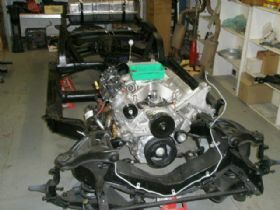 We are very experienced in the Corvette marque and are happy to discuss any requirements you may have regarding a restoration, conversion or both. We have a comprehensive image library of previous work carried out on customers cars and a visit to our workshop will give any potential customer an understanding of the quality of workmanship that we pride on ourselves on. 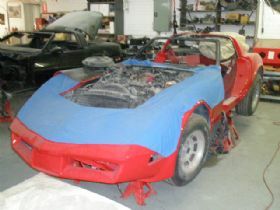 As restorations can be time consuming and continue to grow from an original specification we can highlight some past experiences and give you a good understanding of what to expect and how we work with you to realise your dream Corvette. We can be reached Monday to Friday from 8.30am until 5.00pm on 0418 440 131 or drop by the workshop at Unit 3, 62 Stacey Street South, Bankstown and we will be happy to discuss your project with you.